Putting on a coat for a child doesn’t seem so hard…unless you have 10 or 20 students, and you all can’t wait to get outside! 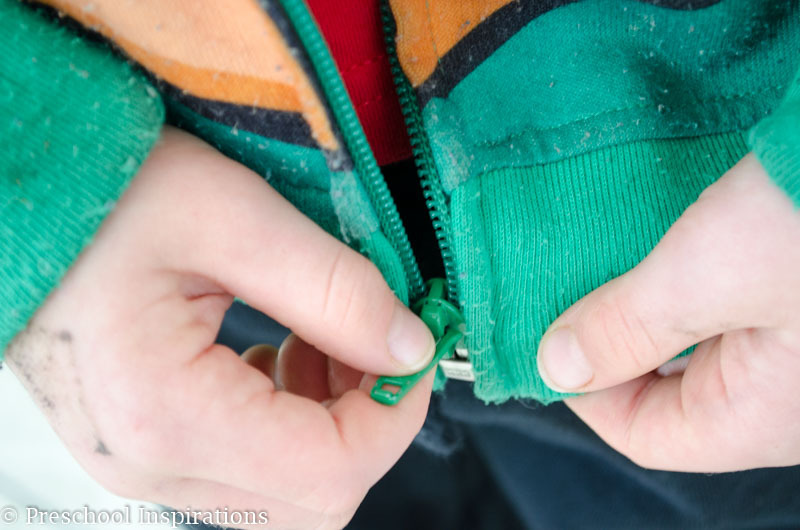 I’m sharing 3 simple ways for children to put coats on independently. You’ll have your students getting their coats on in a flash. And if you are a parent, your teacher will thank you for allowing your child to learn these skills at home! 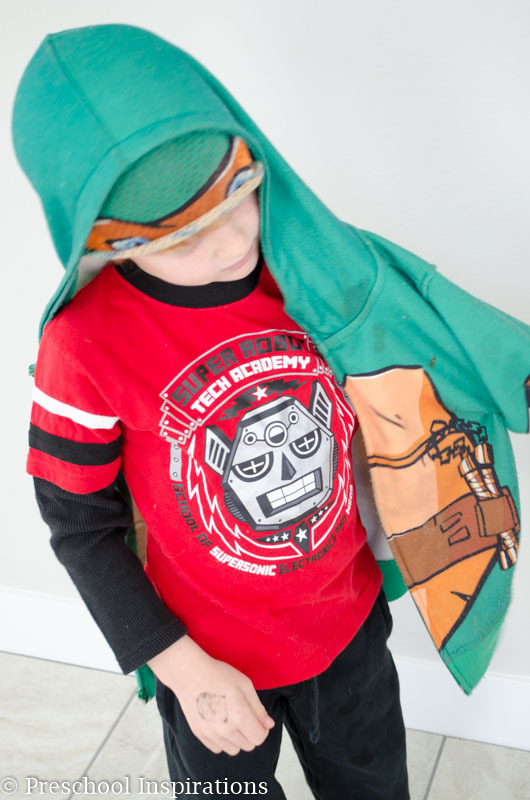 Or your child will feel confident and proud of the dressing skills she has learned! The first method you may have seen before, so I’ve added some rhymes and chants to go along with it. 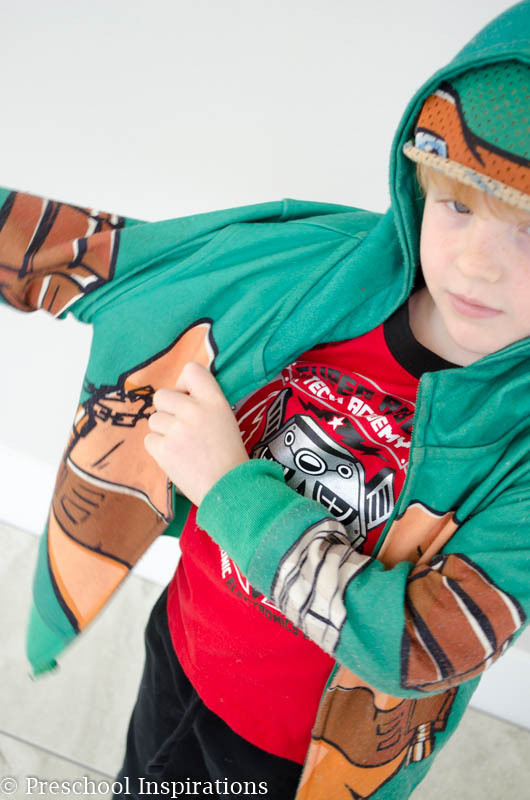 The second method is also well known and great for a coat with a hood. And the last method I learned from my husband. It works great for coats with and without hoods. This simple coat trick is very well known and the one I use most frequently. I learned it while working in my first ever preschool room many moons ago. It’s a coat trick that has been used for decades, being passed down from one generation of teachers to the next. Have the child put the coat down on the floor (or a table). 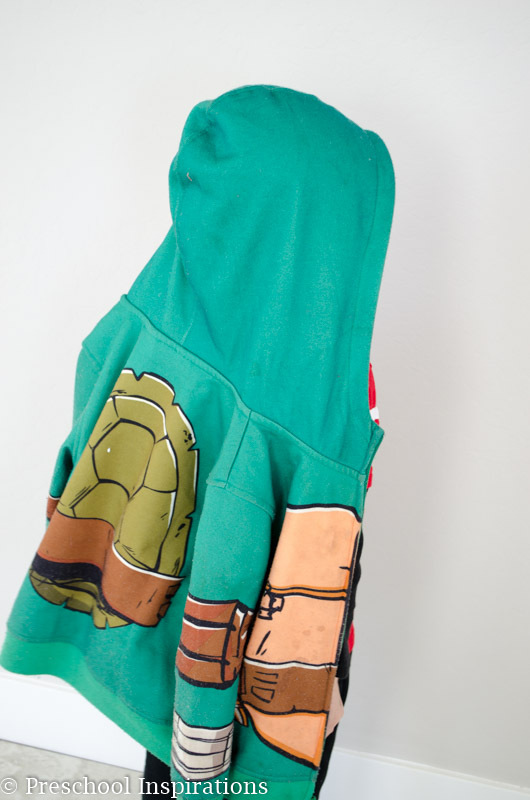 They need to stand near the tag/hood, put their arms through the arm holes, and flip the coat over their head. If you have used this flip method before, you know exactly what I mean. However, if you are not familiar with this, you can see a great tutorial, with step by step photos over at Teach Preschool. Once a child is used to looking at their coat upside down, this will be a breeze. Children need ample space when they do this. We don’t want other children or adults getting hurt by zippers or flying arms. In a large group, I only encourage a few children to do this at a time. Whenever I worked with a second teacher, we would split up. One of us would take the first group of children who were ready outside and the children who needed more help would stay inside and take their time with the other teacher and trickle out as they finished getting ready. We avoided lots of mishaps this way, and it was nice to get the children who were ready outside quickly. 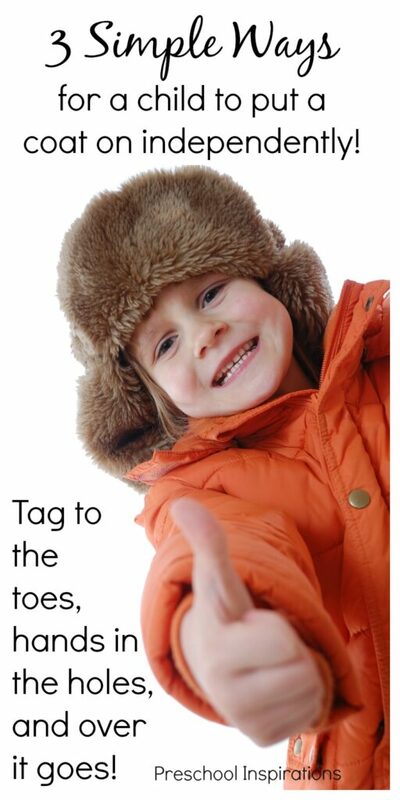 I recently shared Teach Preschool’s post about doing the coat flip and a lot of my Facebook followers had some awesome rhymes and chants to go along with this technique. If you have one, I would love to hear it too! The second method is to use a child’s hood to help them. Have them put their hood on their head. Now they put one arm in, followed by the other. This is a quick and easy way that works well. 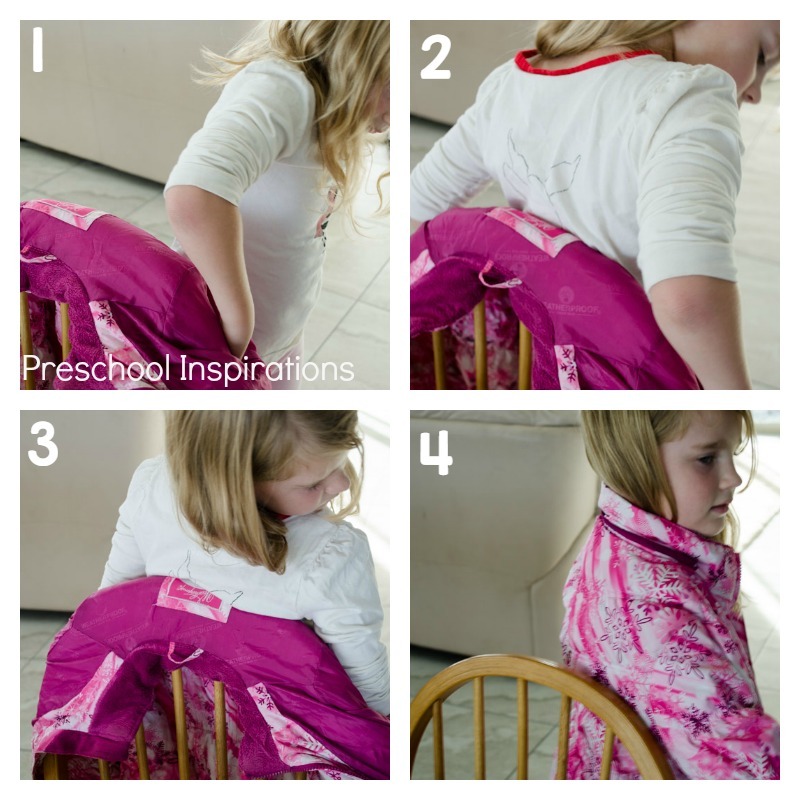 Children require a little more coordination for this than the magic coat flip, so if they seem to struggle after several times of trying it, go back to the magic coat flip and try that. Or you can try the chair trick below and see if it works! This last way is a great method if you have a chair around. The coat doesn’t even need a hood! Just have the child place the coat onto the back of the chair. It needs to be facing them. Then the child can turn around and place one arm in and then the other. Lastly, a big shrug will get the coat up on their shoulders. Zippers usually take longer to learn. I love to have children help one another with this once they master it. I tell them to only zip half way up to help prevent chins from getting zipped. That happened to me all the time when my mom was zipping my coat. Which means it was definitely a sign that I should have been doing it and not asking my mom to! The zipper is the monkey and the tab side is the banana. You put the banana in the monkey and the monkey climbs the tree. And here are some zipping boards that will help too! If you like to make your own dressing boards, take a look at these Montessori Dressing Boards from Stir the Wonder. The key to all of these is practice, practice, practice! 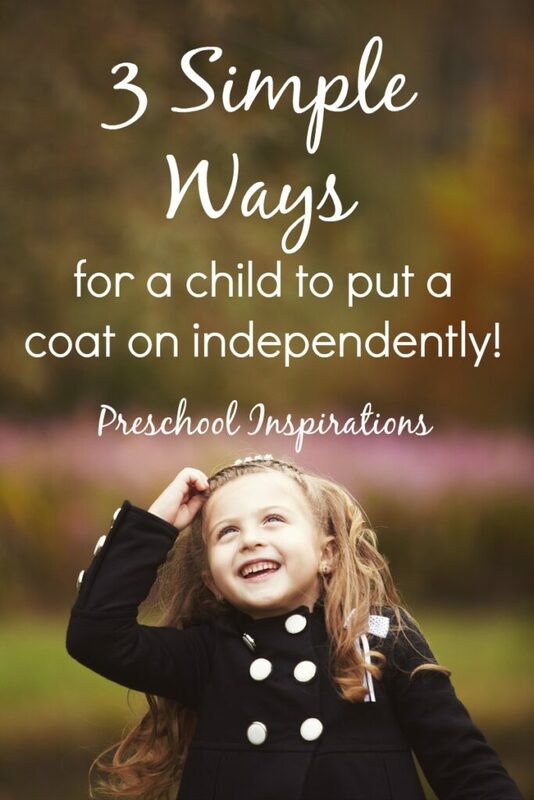 Children are always so proud of themselves when they are able to put their coat on by themselves, and if you have a class full of students, it will save you a lot of sanity and time!